Americans across the country are traveling to celebrate the holidays this week, and this year’s Thanksgiving travel is expected to be the busiest in years. 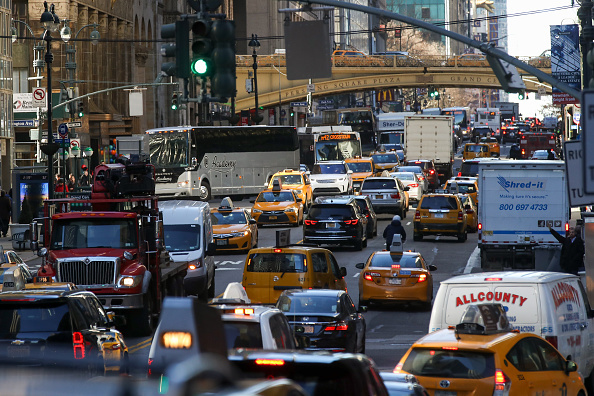 AAA estimates that over 54 million Americans will travel home after celebrating the Thanksgiving holiday – that represents the largest Thanksgiving travel in a dozen years. As we meet with friends and family, it’s important to take a moment to appreciate the amazing ability we have in today’s day and age to travel across the country and the world, and to connect with our loved ones in ways unimaginable just a century ago. All of this is made possible by America’s energy industry. Whether traveling by car, train, plane or bus, America’s energy industry is the lifeblood of the economy and our transportation system. Thanks to the sweat and grit of workers all across the country, in diverse sectors of the energy economy, we are able to fly the skies or just simply drive home to visit our family. Whether it is the gas in your car to drive to grandma’s house, the electricity that bakes your turkey to perfection, or even the plastic Tupperware for your leftovers, none of it would be possible without America’s energy workers. For that, we are thankful for the Americans who work hard to keep our country running. Power The Future hopes you enjoyed Thanksgiving and wishes you safe travels home!